We all know the benefits of paying yourself first. That is, setting aside a fixed amount of money each month for the future before you spend. However, why do so many of us put it off until much later in life? The reasons are endless and different for each person so I won’t try and list. However, I think the motivation behind why we spend first and then save (if we can) is typically the same for everyone. In a nutshell, we get more pain from saving now than we do spending our money. Put in another way, we get more pleasure from spending now than saving for the future. Isn’t that the reason we do or don’t do things almost everything? I can’t take credit for the pain/pleasure principle. Originally discovered by Freud and later used by countless other psychologists, scientists and life coaches to explain human behavior, I think this principle explains much of the behavioral aspect of personal finance. I like Tony Robbins take on the pain/pleasure principle and if you have ever listened to any of his podcasts or read his books regarding this matter, you are familiar with what I am talking about. He believes everything we do in life is to serve two purposes: avoid pain and seek for pleasure. Staying in a relationship that is toxic and unhealthy before finally ending it. Procrastinating filing your taxes (maybe because you know you will owe the government) until the date of the deadline. Putting off saving and investing for retirement until the kids are off to school, or your income rises or fill in the blank. However, Robbins also mentions that even though we are hard-wired to seek pleasure and avoid pain, through repetitive neural conditioning we can recreate the neurological pathways that define what we feel is a painful experience and what is pleasurable. Even though we still follow the same pain/pleasure principle, the triggers that cause the pain and pleasure can change, resulting in a different outcome. Natural savers already associate pleasure with saving money. 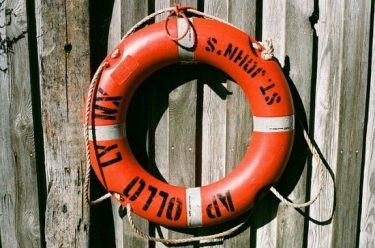 But what if you are not a natural saver? How can you use the pain/pleasure principle to pay yourself first and enjoy doing it? Change what you link pain and pleasure to and you change your outcome. Link pleasure to paying yourself first and pain from not doing so. One way of doing this is to redefine what it intrinsically means for you to save money NOW (pay yourself first) for the future. 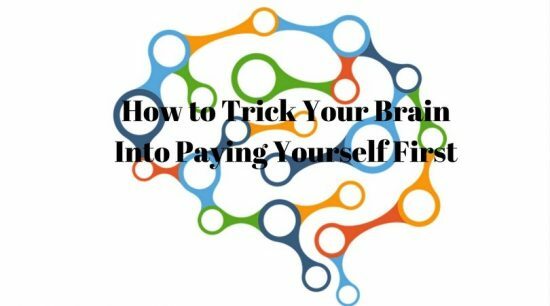 Here are two ways to trick your brain to paying yourself first. Everyone knows the importance of saving money and investing your income now so that when you have less or no working income in the future you can live a good life. That’s great, but who wants to think that far to get them excited about saving money. Shifting the focus to the immediate present we can look how else you may benefit from having a diligent savings plan. Especially when it comes to issuing larger long-term loans. Put differently, spending everything I make and then some will cause me not to be able to save any money. Not being able to save any money will mean I have less leverage when negotiating with creditors. This may in term affect my ability to get favorable loan terms. By redefining the motivation behind why you should save, you can turn a non-saver into a saver. If appealing to creditors does not motivate you, then find something that does. It could be the desire to save so that you can give to your kids the things you never had. It may be to save so you can stop doing what you hate every day and start doing what you love. Change the distant future to the immediate and you can change a non-saver to a saver. There are 2 ways (maybe more) to gain financial peace of mind, increasing your net worth and getting insurance to cover life’s expected and unexpected expenses you would not be able to pay for out of pocket in your lifetime (or your children’s). What does this mean? Well, most people understand the benefit of having auto insurance. In the event they are in an accident, a majority of their expenses will be paid for by the insurance company. In exchange for this service, they make monthly or annual payments to their insurance company. This is also true for health insurance. No one wants to pay for hefty medical bills out of pocket. Instead, they get health insurance to cover qualifying expenses. Well, paying yourself first is insurance on your future. Paid for monthly in small or large ‘premium’ payments to a future benefactor…you. Executed and invested properly, a diligent pay yourself savings and investing plan will cover you when the bill comes due and it is time to pay. A diligent saving plan is insurance on your future financial well-being. Paying yourself first and implementing an effective saving plan is only one piece of the puzzle, but for most non-savers it is the hardest one to achieve. The others would be creating a budget, figuring out your long-term financial goal and working backwards to figure out monthly contributions and finding a way to manage debt along the way. Some requiring more behavioral modifications than others.